Little by litte I’ve begun to recover the record and concert reviews I wrote for Billboard en Español in 2008 and 2009, before the site was absorbed by MSN/Telemundo and all the previous content was deleted. 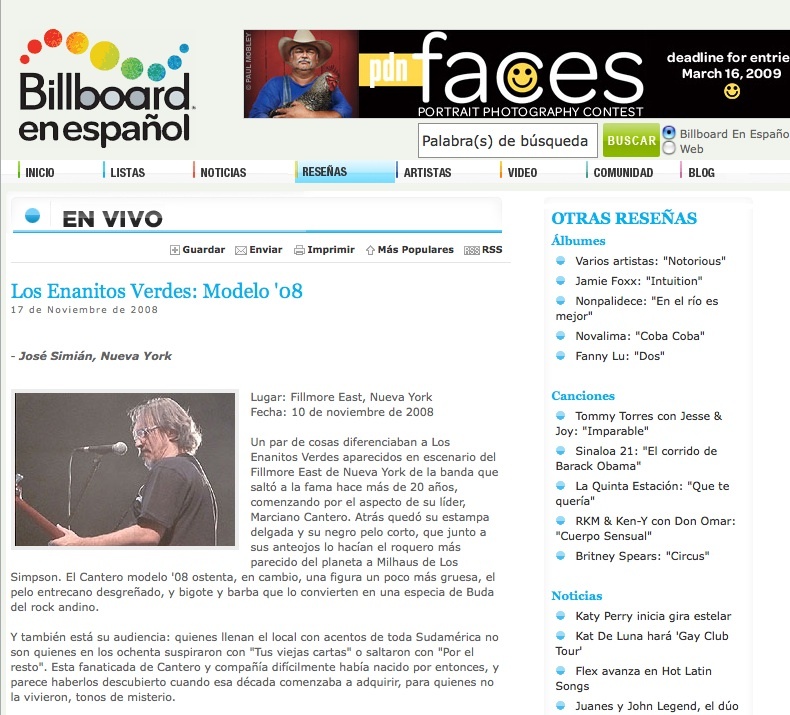 Here’s the link to my most cherished piece, a review to the concert Argentine band Los Enanitos Verdes gave at Manhattan’s Fillmore East on November 10, 2008. I don’t think it’s a highlight of my writing career, but when the singer of the band left a comment on the site saying Billboard could be sued for publishing, I knew I had hit the right note. Many fans of the band also accused me of panning them because they were Argentinean and I was Chilean, which was also a first. Those commentators missed the essential point of my review: I think Argentina has produced one of the only (if not the only) solid rock and roll canons outside of the United States and Great Britain. That’s why that concert was such a disgrace.